BEIJING: China is planning to launch its own ´artificial moon´ by 2020 to replace streetlamps and lower electricity costs in urban areas, state media reported Friday. 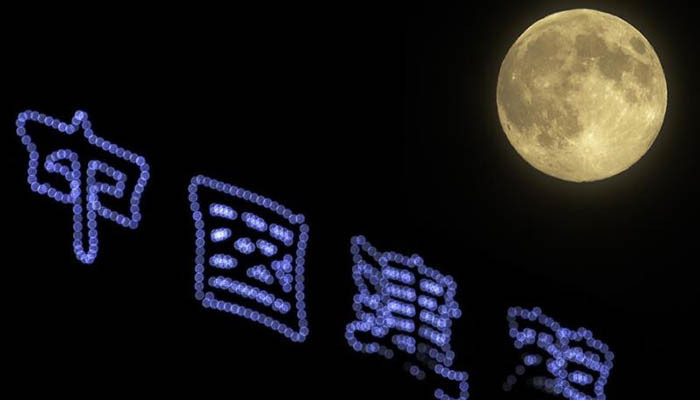 Chengdu, a city in southwestern Sichuan province, is developing "illumination satellites" which will shine in tandem with the real moon, but are eight times brighter, according to China Daily. The first man-made moon will launch from Xichang Satellite Launch Center in Sichuan, with three more to follow in 2022 if the first test goes well, said Wu Chunfeng, head of Tian Fu New Area Science Society, the organization responsible for the project. Though the first launch will be experimental, the 2022 satellites "will be the real deal with great civic and commercial potential," he said in an interview with China Daily. By reflecting light from the sun, the satellites could replace streetlamps in urban areas, saving an estimated 1.2 billion yuan ($170 million) a year in electricity costs for Chengdu, if the man-made moons illuminate an area of 50 square kilometers. As China´s space programme races to catch up with that of the United States and Russia, a number of ambitious projects are in the pipeline, including the Chang´e-4 lunar probe -- named after the moon goddess in Chinese mythology -- which aims to launch later this year. If it succeeds, it will be the first rover to explore the "dark side" of the moon. Chengdu´s artificial moon project was announced by Wu at an innovation and entrepreneurship conference in Chengdu on October 10. In addition to Tian Fu New Area Science Society, other universities and institutes, including the Harbin Institute of Technology and China Aerospace Science and Industry Corp, are involved in developing Chengdu´s illumination satellites.